"Dream big," they said, "sky's the limit!" They didn't tell me I had to hump all the bloody equipment up there as well! Yes, what began as a bit of a joke has turned into something. 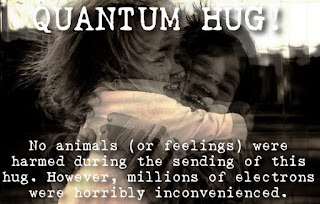 For those who missed it, a little under two months ago, on April 11th, there appeared on this blog a piece about how there weren't enough hugs in the world, entitled the Quantum Hug Initiative. It was a bit of fun intended to increase the general wellbeing of our species in some small measure. Many scoffed, telling me that I sounded like Deepity Chakra. Some even argued with me, insisting that I was abusing science, which I suppose is much the same thing. I eventually had to add a disclaimer to that post, warning that it was comedy science but real virtual hugs. Since then, this silly little notion has snowballed, and it's now become what we present here for you now. Welcome to the Quantum Hug Live Megastream. 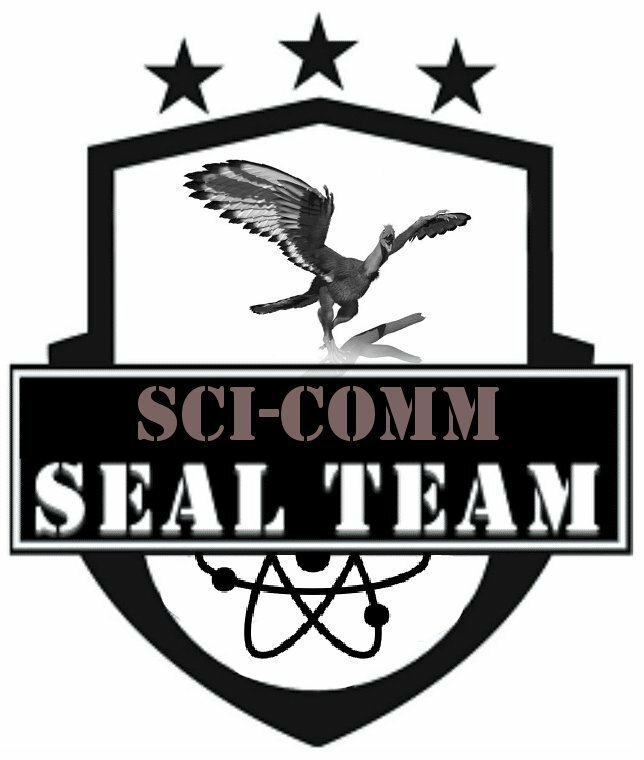 This Friday, June 1st 2018, I will be hosting a live megastream on Youtube (and possibly other outlets) celebrating science communication, critical thinking, mental health and a whole host of other topics. The stream will start at 06:00 Central Daylight Time (US) and will continue for 24 hours. Between the hours of 3pm and 5pm Central Daylight Time (7pm - 9pm British Summer Time), we will be taking over the Twitter account of Everton and Wales goalkeeping legend Neville Southall to take and answer questions about suicide and mental health. Tweet questions to @NevilleSouthall including the hashtag #QuantumHug. Join us for a really great time, and tune in to the following array of amazing people. What’s This whole Quantum hug thing about anyway? Thank you so much to all the amazing people who made this happen, not least the unbelievable array of guests who are giving of their time. Special thanks to Cat - @AllHallowsNight - for her stellar work in organising my slapdash backside, putting the schedule together and generally making sure I had all the bases covered for this ridiculously ambitious undertaking. Make sure you send plenty of Quantum Hugs using the hashtag #QuantumHug on all social media platforms. Feel free to use the Quantum Hug image below. 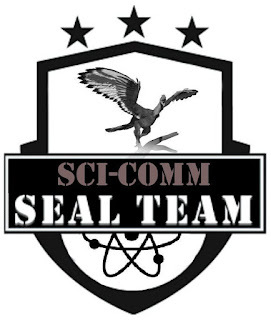 This undertaking brought to you by the Scicomm Seal Team, by order of our captain, Amanda Glaze Ph.D.